Our Favorite Christmas Eve Tradition is sponsored by Kohl’s. I was paid for this post and received the included pajamas as compensation. My favorite time of the year is approaching rapidly. There is something magical about the holidays. I get so excited to start doing some of our families favorite holiday traditions like decorating gingerbread houses, delivering Christmas treats to our neighbors, decorating the house and eating Christmas casserole on Christmas morning. Traditions are wonderful ways to build memories that your kids will keep with them when they start their own families. We started our favorite Christmas Eve tradition on Jonah’s first Christmas. Every year the kids open up new matching kids Christmas pajamas and then we head on over to my husband’s brother’s house for dinner, hot cocoa, Santa tracking and a reading of The Night Before Christmas. After enjoying a night with our family, we pack the kids in the car and head home to put out cookies for Santa. 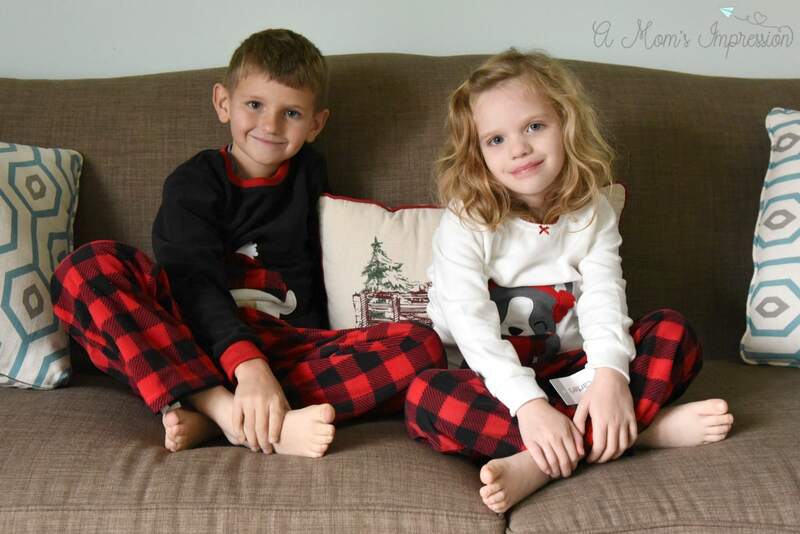 The kids fall asleep in their new pajamas and wake up Christmas morning ready to open presents. They usually stay in their jammies until about noon until I make them change. I love finding matching kids Christmas pajamas for my son and daughter every year. I know eventually they may not want to match, but for now, I am excited that they don’t complain about matching each other. I found these adorable buffalo check pajamas from Carter’s at Kohl’s this year. I am obsessed with buffalo check plaid this year so when I saw that Carter’s had a set of both boys and girls I snatched them up! 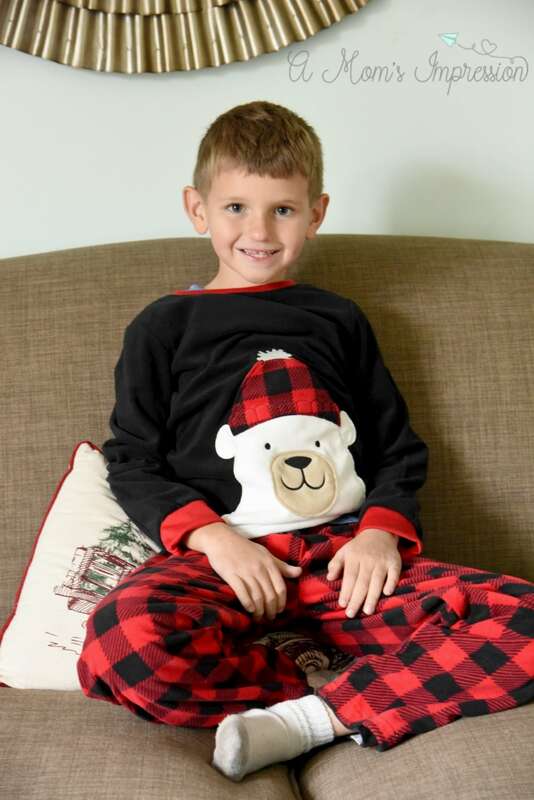 The buffalo check pajamas are fleece and are extremely soft. Both of my kids commented that they were soft and cuddly. Carter’s jammies have been our favorite for years! Carter’s jammies are available for baby, toddler and little kids sizes and come in cotton, polyester and fleece options. If you love the classic footed pj’s, Carter’s footed jammies have non-skid soles, safety tabs to keep the zipper in place, and elastic back heels to help keep the footies on their feet. 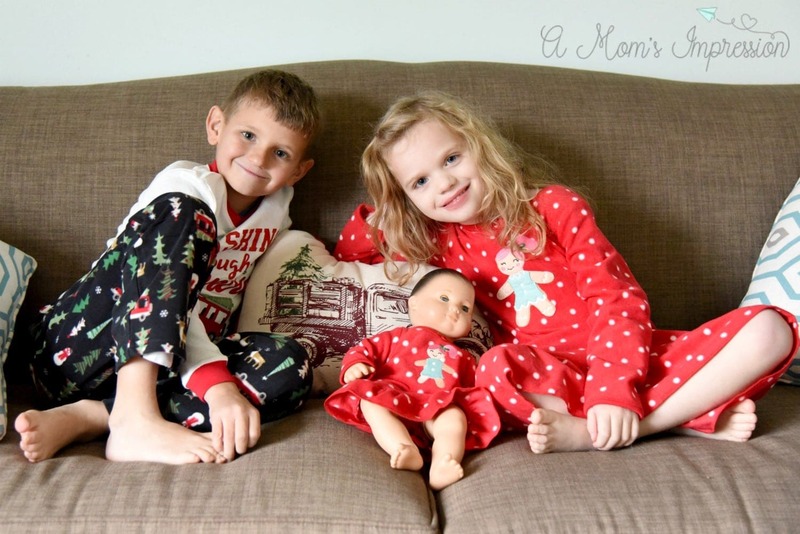 Carter’s has matching girl and doll nightgown sets! I know a lot of little girls who love to dress their dolls up in the same matching outfit as themselves. 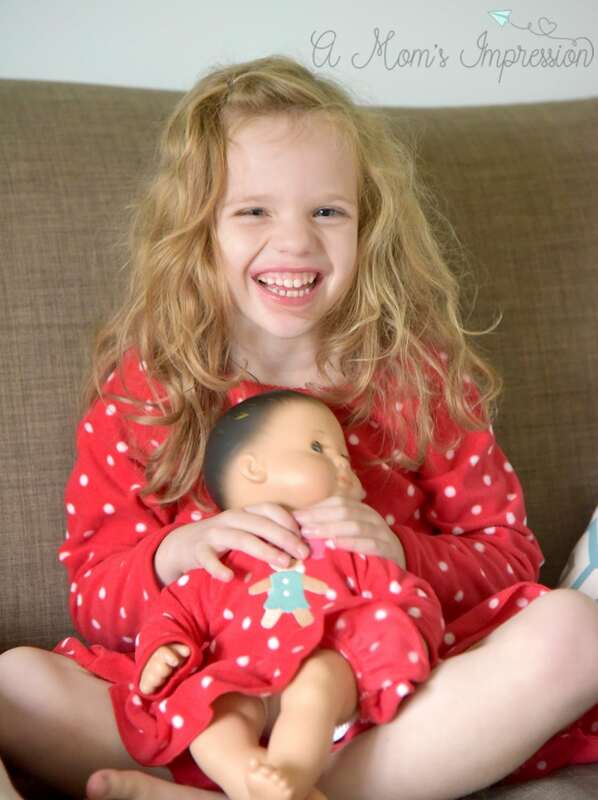 Now Caroline’s favorite doll, Harper Mae, can join in on our favorite Christmas Eve tradition too! For amazing holiday pajamas be sure to visit Destination Dreamland, Carter’s holiday sleepwear collection with new color schemes and holiday themes at Kohl’s. You will be amazed at the selection and opportunities to mix and match prints to outfit your kids this holiday season. 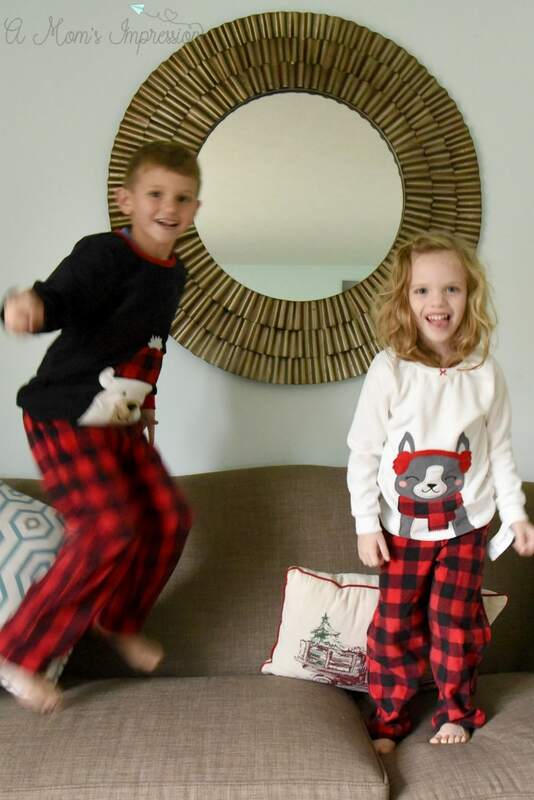 Do you include pajamas in your holiday traditions? I would love to hear some of your favorite family holiday memories. « How to Answer the Question Does Santa Claus Exist?